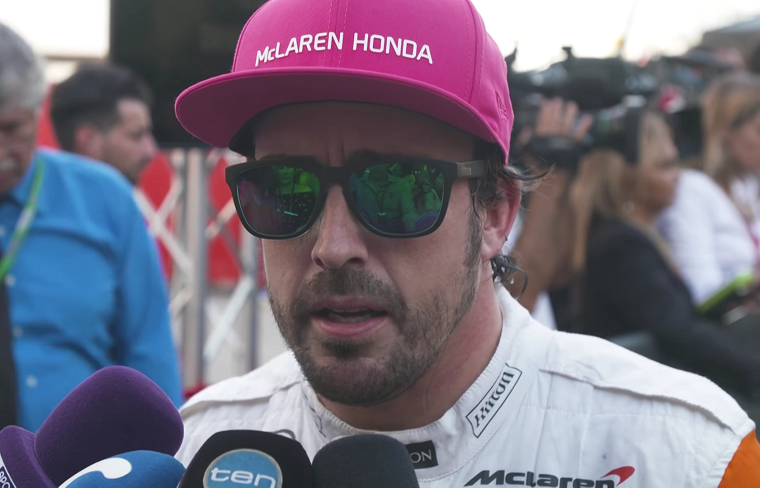 Fernando Alonso was running inside the top 10 at the United States Grand Prix in Austin when he reported a loss of power and was forced to retire. Honda later found it had been an issue with the MGU-H, which converts heat energy from the exhaust system into electricity. The MGU-H is one of six separate elements deemed to make up a Formula One power unit, including the internal combustion engine, MGU-K (a kinetic energy recovery system), turbocharger, energy store, and control electronics. Drivers are permitted to use only four of each of the six elements throughout the course of a championship season, and because McLaren Honda has already gone well beyond that limit for all components, any subsequent replacement will result in a grid penalty. So far this year, the MGU-H has been not only Honda’s biggest issue but also that of the other engine constructors. It is notoriously the most expensive and complicated pieces of engineering and technology on modern F1 cars—so much so that it is likely to be taken out of the formula altogether by 2021. Alonso was going to run his older engine and MGU-H all the way to the end of the season to avoid taking grid penalties, even though Honda had an updated unit ready for the US race. His teammate Stoffel Vandoorne, meanwhile, had taken the upgrade because of a similar MGU-H issue that arose earlier in the weekend. Faced between replacing just the MGU-H and taking a penalty or replacing the whole power unit and also taking a penalty, the latter seemed like the better choice for McLaren Honda. Vandoorne’s MGU-H unit had been at end-of-life, however, while Alonso’s was new, which highlights the continuous issues Honda has had with that particular component. “It’s very disappointing that we faced more issues with our engine—particularly because the reliability has been relatively stable in recent races,” said Honda F1 project leader Yusuke Hasegawa. He said that without the issues, both Alonso and Vandoorne could have been expected to score points. Now Alonso is facing the same issue Vandoorne had before the US Grand Prix: replace the MGU-H and take a penalty, or update the whole engine and take a penalty. So far the team seems to be leaning toward the latter. “Yes, I think [we will get a penalty] so it would be better to introduce a new engine in Mexico,” said Honda F1 project leader Yusuke Hasegawa.